The Carmelite Sisters of Mercy established a dairy farm in 1905 in the hilly region of Northwestern San Diego and provided milk and a monastery for locals until the area eventually came to be known as Carmel Valley. The town’s population of over 42,000 people enjoy the premier wine tasting services found in the sublime river valley. Carmel Valley also has three championship golf courses, several world-class resorts, and scrumptious food made from locally owned restaurants. 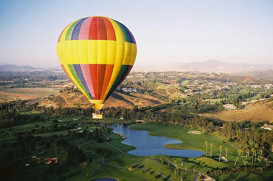 Carmel Valley is also home to the 4,000+ acre Garland Ranch Regional Park. The park has excellent mountain trails for hiking, biking, and horseback riding. Torrey Pines High School and Cathedral Catholic High School are ranked among the best in the city. The town of Carmel Valley is just a short and stunning drive away from Carmel-by-the-sea and is an excellent spot to experience finer wine and dining.